Ron Kim was elected last November to his fourth term representing the 40th Assembly District. The office of public advocate, unique to New York City and given broad purpose but fewer formal powers in the city charter, always adapts to the profile of the person occupying it. Mark Green used the office as a bully pulpit to challenge Rudolph Giuliani. Betsy Gotbaum focused on producing investigations and policy recommendations. Bill de Blasio started the Worst Landlords list, targeted gun companies and highlighted hospital closures. Letitia James filed lawsuits and legislation. Ron Kim, a Queens Assemblymember who is one of 20-odd candidates running in the February 26 election to temporarily fill the post vacated when James became state attorney general, would bring the office, and the city, into new territory: He believes the city could ease the student debt crisis by seizing student loans through eminent domain and writing down or forgiving debt. 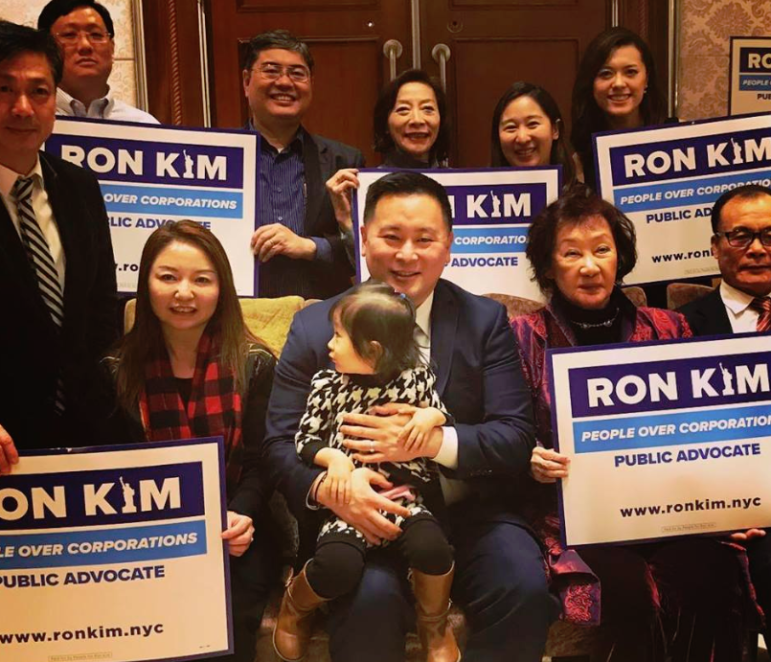 A guest on Wednesday’s Max & Murphy Show on WBAI, Kim discussed his immigrant upbringing and his three terms in the Assembly (he was elected to a fourth term in November). But student debt is a primary focus of his policy program. Saying he wants to transform the office from its traditional (some of them charter-mandated) roles to focus on reversing economic inequality, and noting that student debt plays a huge rule in fostering inequality and inhibiting social mobility, Kim says he’d push the city to ask the federal government to forgive that debt, most of which it holds. If that didn’t work, he’d ask the feds to transfer the debt to local governments to administer. “If they don’t want to do that, I propose as public advocate to exercise the power of eminent domain and treat debt as property and use local authorities to go in and buy and cancel debt,” Kim says. Kim referred to the work of economist Robert Hocket, who in 2013 proposed such an approach to underwater home mortgages. The approach was at some point considered by at least 30 municipalities, with Richmond, Cal., leading the way. Richmond faced a major legal challenge to moving ahead with the plan. It is not clear at press time whether any debt was actually written down. Hear Kim on Amazon, debt and his work on the nail salons issue below. Or listen to the full show, which includes an interview with another public advocate candidate, Nomiki Konst. There’s ‘outside’ as in out the parking lot, and then there’s ‘outside’ like outside in the woods next to the highway. ‘Mayor de Blasio’s plan to combat homelessness was a good start, but its commitment to permanent housing solutions falls short for the magnitude of the emergency we face,’ Borough President Eric Adams writes. Job No. 1, the journalist and activist says, would be to take the public advocate out of the mayoral line of succession.